Football Canada is proud to announce the hosting of a Senior Women’s National Championship in August 2015. The national championship builds on the first Women’s Challenge Cup which was held in August 2012 in Montréal, Quebec. “Women’s tackle football continues to develop at a rapid rate across Canada. Teams now exist in 7 provinces with the addition of Ontario,” stated Football Canada Executive Director, Shannon Donovan. Canada’s first women’s tackle football league, the Maritime Women’s Football League was established in 2004 and has since grown from two to four teams across New Brunswick and Nova Scotia. In 2001, the Montreal Blitz, a semi-professional team which play in the Independent Women’s Football League Championships was established. The Blitz who play against U.S. based competition have won multiple league championships during their existence. 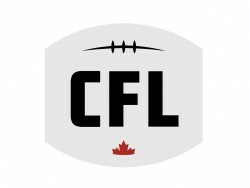 Following the inaugural IFAF Women’s World Championship in 2010 where Canada placed second; the Western Women’s Canadian Football League was established in 2011 and has since grown to eight teams across Saskatchewan, Alberta and Manitoba. More details regarding the Women’s National Championship will be announced in the coming months.